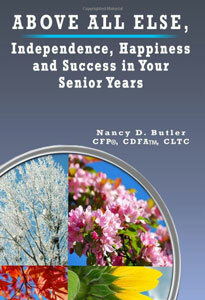 Nancy is a national professional speaker, business coach, and award-winning author. Pulling from her many years of experience, Nancy writes her books as a way to give back and pass on some of the knowledge and wisdom she gained over the years. 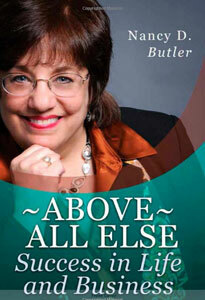 She has three published books to help individuals live a more successful life and realize their dreams. She also provides business owners with helpful advice and strategies to do a better job for their clients and improve their bottom line. If you were at the end of your life looking back, would you feel great about the life you led, the person you became and all you had accomplished? What challenges are keeping you from greater success? What do you need to do differently to get you closer to your personal and business goals? 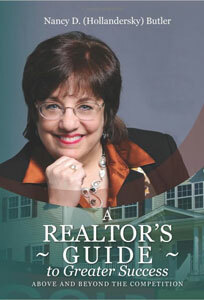 Nancy interviewed Realtors across the country to discover whether different Realtors in different parts of the country where dealing with the same issues or their own particular breed of hardships in the current economic and real estate environment.The result is a surprisingly consistent set of challenges. A Realtors’ Guide to Greater Success provides easy-to-implement strategies that will take your business to the next level while showing you how to find a balance between work and personal life. You have one life to live. Take a step out of your comfort zone and live it to the fullest. Find a new way of thinking and a new way of approaching your senior years. Discover succinct tips and advice on how to retain independence, maintain great relationships, make great memories, address financial issues, keep an active mind and much more. Nancy’s books will inspire you to reach levels of success you have not yet been able to achieve, both personally and in business.